There will not be anything quite so lovely on your tongue as cauliflower, oiled and overtly salted, caramelized and crisped in the oven. The white florets begin to blacken. They soften and sweeten in a light, honeyed way. Here I tossed a head of cauliflower with curry spice and turmeric. I gave them 20 minutes to meet and mingle in the heat of a fiery oven. The florets absorbed the hot orange, the saffron yellow, the heady aromatics of India and all that reeks exotic. Once their skins started to crackle and char, I pulled them from heat and tossed them with green peas because I just adore contrasting color. 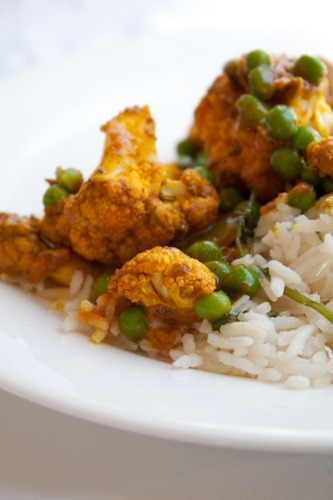 I also love the way spiced curry is mellowed with sweet popping peas. Roast a sheet pan full of curried cauliflower and pile the florets on top of sweet and creamy double coconut rice. Preheat the oven to 450°. Line a large baking sheet with aluminum foil. Toss the cauliflower with the oil on the baking sheet, then add the spices, salt and pepper, and toss again to coat. Spread the cauliflower into a single layer. Roast until the cauliflower florets are beginning to blacken and are easily pierced with a fork, about 20 minutes. Stir the thawed peas with the hot florets on the baking sheet, sprinkle with fresh cilantro, and serve. Sweet deal. I love roasted cauliflower – def need to give this a go. The cauliflower and last post’s Roasted Potatoes whould go great with some roasted chicken! I literally just “mmmm’ed” outloud. Something about curry scares me. I mean, I love to eat it but I haven’t really experimented with it in the kitchen! I wouldn’t even know where to start or what type to buy! I’ve never tried roasting cauliflower before? 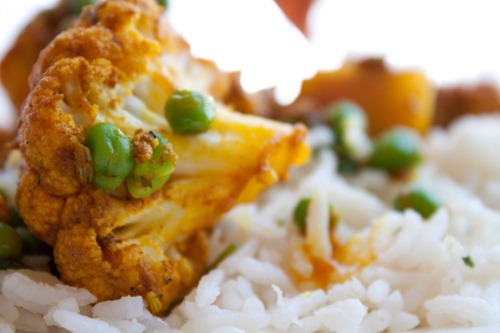 But cauliflower and peas are such a perfect match for curry, I bet it’s delicious! i agree, roasted cauliflower is a big favorite of mine. i don’t mind it steamed like we had it growing up, but roasted makes it have a completely different flavor! It’s 8:55am here on the east coast. 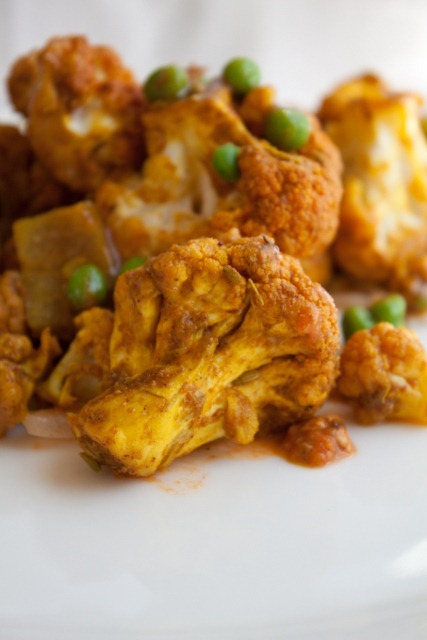 I’ve barely even made it through my first cup of coffee this morning and I am already drooling and dreaming about indian spiced cauliflower for dinner tonight. Mmmm…. Looks great! I love Indian food. I swear I could eat it every day! Looks so good! Can we get the recipe for double coconut rice too? so my husband will LOVE this recipe, thanks for sharing. I missed the post where you asked your readers to request anything we would like to see on your blog. What are the ESSENTIAL ingredients to have in your kitchen? Granted, you have your flour, eggs, milks, oils, salts and peppers, variety of dry spices… etc.. But what would you say a “cook” (used loosely in my case) should always have on hand so we can create something such as this delicious looking recipe? I’m still waiting for the Chipotle Sweet Potato Chili!! Oooh, these are like the ones from the Whole Foods hot bar…I’ve been wanting to recreate these (with some yummy tandoori chicken! This sounds so good Andie…I think I may go get a head of cauliflower tonight and make it! YUMMM. i wish you posted all day long….somedays I just need more. Hmmm, I LOVE roasted cauliflower!!! I think your recipe adds a nice change to how I normally make it though, so I can’t wait to try it!! :) And the hubby is going to love this recipe too, I can already tell! This recipe looks delicious. I think it’s time for me to try it. Can we get the recipe for the coconut rice? I’ve tried making it with coconut milk, coconut juice and adding coconut extract but nothing seems to impart enough of a coconut flavor. Your beautiful photos really show off what a delicious dish this is! I made these the night before we head out for a trip. One head of cauliflower had to be used up and this was the perfect recipe for it. I don’t cook with curry unless I have a clear, easy instructions. You made it every easy with this recipe. Thanks again. Also, this pack some heat! I think the chili pepper got spread out to about 3 cauliflower florets and I ate all 3 of them in a row. wowza…my lips are tingling right now. I saw this and immediately wanted to try it. The Man I am Going to Marry was skeptical…I usually heat a curry sauce (from a jar, shameful, I know, but I add different spices and things to it, so I feel like that makes it okay), with chicken and store bought naan. That meal is OOC delicious. However, REALLY unhealthy. I also went out on a limb (because if I am going to go out on a limb, I am going to go WAY out) and made my own naan. King Arthur Flour Company (kingarthurflour.com) makes an “Indian Flatbread Flour” which I purchased the last time I was there. These came out so nice and light, they were the perfect compliment to the meal. I have a feeling the store bought sauce is going to be sitting in the pantry for quite some time, and the store bought naan went in the freezer tonight, where it will be forgotten. :-) Thank you! Where do I find the recipe for creamy double coconut rice? Sounds wonderful. I love coconut and curry together! Made these for guest and they thought they were delicious! Thank you for a great recipe! This tastes fantastic! I had my doubts when I saw peas in there, but this tastes so good, I might have to make peace with them. What a compliment! I love when veggies can do that, don’t you?! 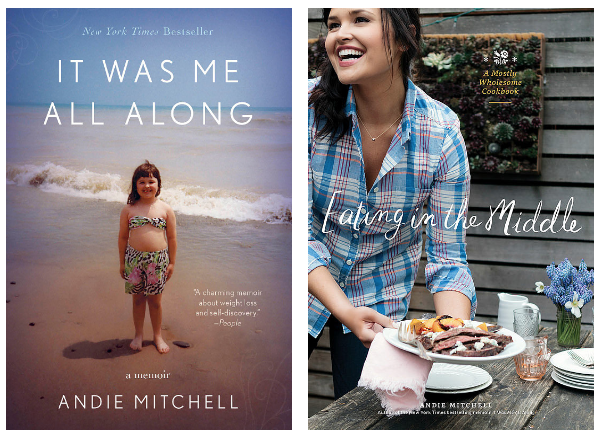 Thanks Carol–and thank your daughter for me! Congrats to her on her new job!